There have been a few enhancements in the latest version of XPlica for SharePoint, which is Vyapin’s SharePoint migration solution to migrate contents across SharePoint servers and versions. 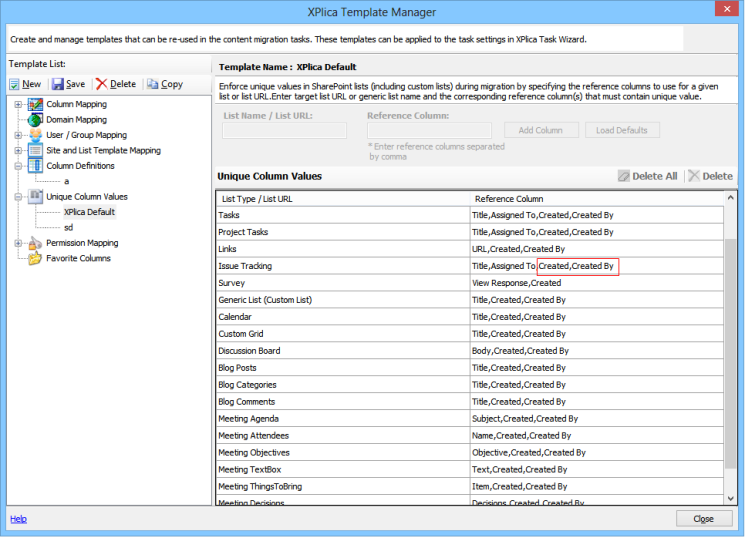 XPlica uses the Reference Columns (or Unique Column Values) definition to identify duplicates in the target list during migration. Additional fields like Created and Created By have been added to clearly locate duplicate values or rows that have already been migrated from the source to the target list. 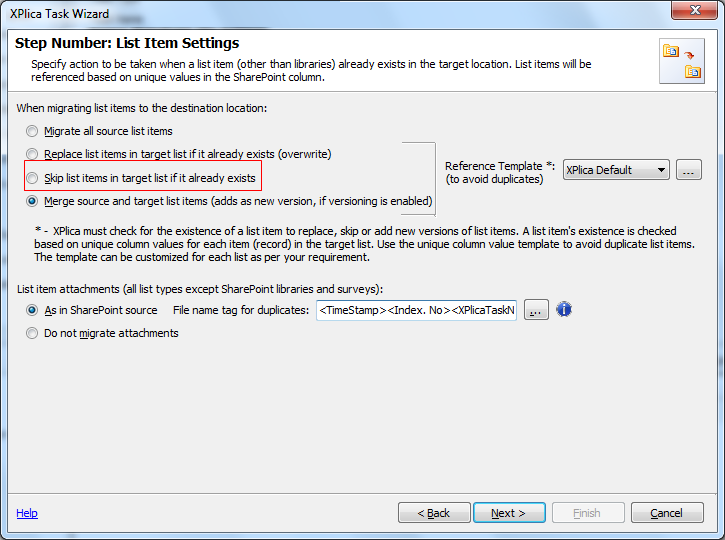 The “Skip list items in target list if it already exists” is used to “Skip” the List Item, if the source List Item is found in the destination location (based on Reference Template settings – as explained above). The other options work to either replace or merge the list Items, as specified by the user. The Reference Template must be configured correctly in order to avoid migrating the same list items (incremental migration) or eliminate the same list items from getting migrated from source to target list.